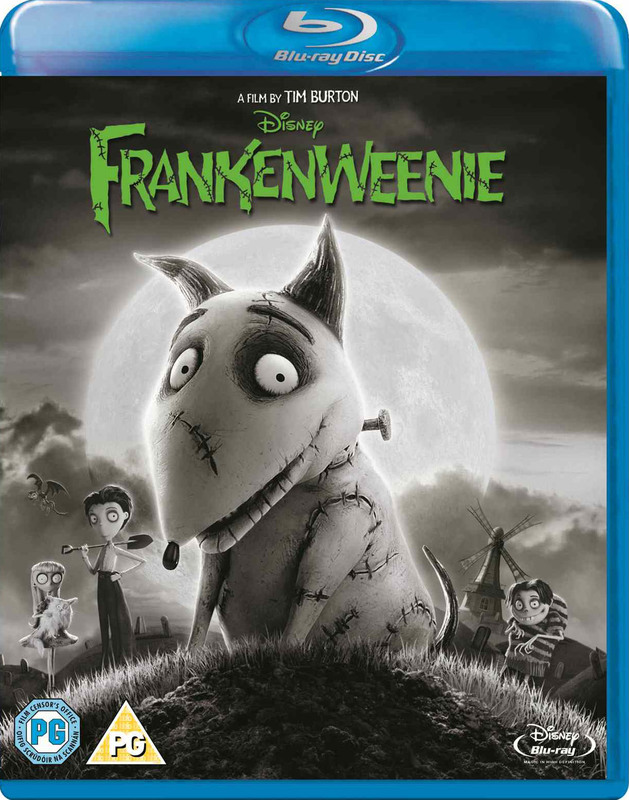 As part of my month long of Halloween movie favorites for families, I am re-sharing my review of Frankenweenie previously published. In typical Tim Burton fashion, this stop-motion animated film is artistic, touching and thought-provoking. The other night I suggested to my younger son we get in the Halloween mood by watching a movie. His pick was Tim Burton's Frankenweenie, a bizarre twist on the 1931 movie version of Mary Shelley's classic, Frankenstein. With Halloween just around the corner, and because I like this movie so much, I just had to write a review for those who haven't seen it yet. However, I must caution parents that Frankenweenie, with a PG rating, can be quite scary for young children and deals with disturbing subject matter. The film is in black and white and, frankly, I can't imagine it any other way. It is a spoof of old (I mean really old) horror movies and will make you laugh and probably shed a tear or two. I know because it gets me every time. In fact, halfway through the movie my older son called from the other room, "Is she crying yet?" UGH! I was. In the movie, Victor Frankenstein loses his dog, Sparky, after it is hit by a car. The bond between Victor, who doesn't have many other friends, and Sparky is heart-warming and beautifully portrayed. Victor is unable to be consoled by his parents who try to explain that those we love never really die, they live forever in our hearts. Unable to let go, Victor decides to use electricity to bring back his deceased dog after his science teacher shows the class how a dead frog's muscles will still react to this power source. Of course, the experiment works, but chaos ensues afterwards when others try to duplicate Victor's experiment. Victor, played by actor Charlie Tahan, is my favorite character. But it is science teacher, Mr. Rzykruski (voice by Martin Landau) who delivers us the thought-provoking message that addresses the moral and ethical dilemmas faced by scientists. "Science is not good or bad, Victor, but it can be used both ways." In other words, just because you can, doesn't mean you should. A true scientist must always examine his motives. Mr. Rzykruski reminds Victor that people like what science gives them but not the questions science asks. Frankenweenie's PG rating is for thematic elements, scary images and action. For all Tim Burton fans and for families with older children, grab your popcorn -and a tissue or two -and enjoy! Is High School the New College?